McDonald’s announced on Tuesday that it is swapping frozen beef for fresh meat in Quarter Pounders across the US. However, the chain isn’t currently making the change to other burgers, such as the Big Mac. McDonald’s needs to win over upscale customers with innovation like fresh beef, while still convincing bargain shoppers to visit the chain. 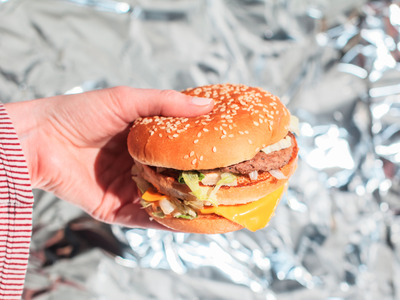 McDonald’s is now serving burgers made with fresh beef. However, the Big Mac will not be affected by the change – and there’s a clear reason why. On Tuesday, McDonald’s announced it was swapping frozen for fresh beef in all of its Quarter Pounder burgers by early May. Roughly 3,500 restaurants across the US are already serving burgers made with the fresh beef. The company’s U.S. president, Chris Kempczinski, told Business Insider that there aren’t any plans to make the switch for other burgers, such as the iconic Big Mac – at least not yet. Executives said McDonald’s decided to make the fresh-beef swap on the Quarter Pounder, instead of other burgers, after listening to customers’ demands. 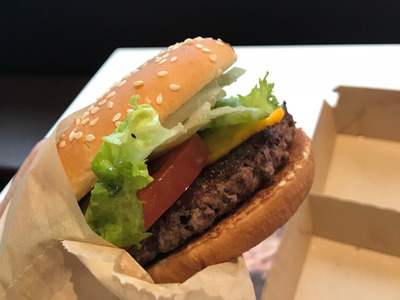 Linda VanGosen, McDonald’s vice president of menu innovation, said that a certain subset of customers has been seeking “hotter, juicier, more flavorful” burgers from the chain. “We have value customers and they’re happy with where those products are,” VanGosen said. McDonald’s recent menu initiatives have been split between attracting customers looking for higher-quality (and more expensive) food and diners that simply want the best deal possible. According to Kempczinski, the two groups “tend to be two customers segments” that visit McDonald’s for different reasons. Budget shoppers are visiting McDonald’s for the deals, such as the chain’s new $US1 $US2 $US3 value menu. If they can get a better deal at a different fast-food chain, they will ditch McDonald’s to save a few dollars. Meanwhile, a different subset of shoppers is drawn to McDonald’s because they want higher-quality food that they can enjoy and not feel guilty consuming. McDonald’s has tried to win over these customers with things such as antibiotics-free chicken, upscale espresso drinks, and, of course, fresh-beef Quarter Pounders. To grow sales, McDonald’s needs to win over both groups of customers – who have completely different and opposing needs. “When you have 30 million people a day coming into McDonald’s in the US, you serve a lot of people,” Kempczinski said.